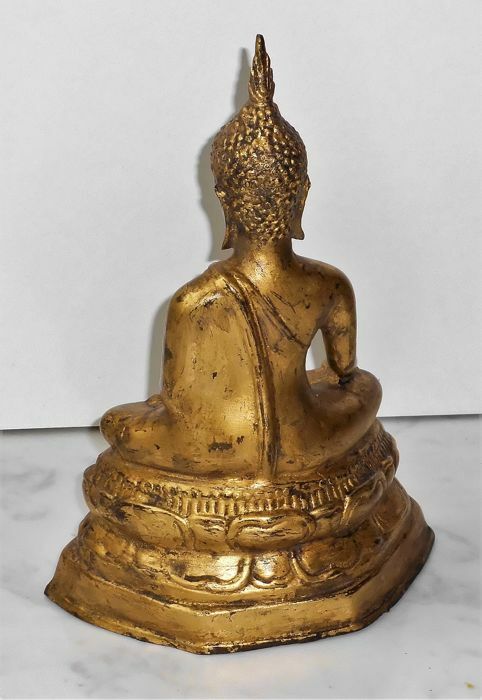 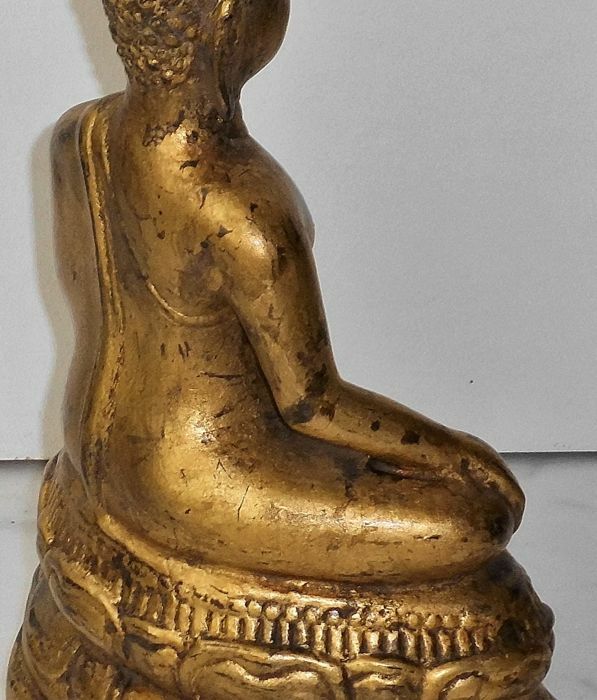 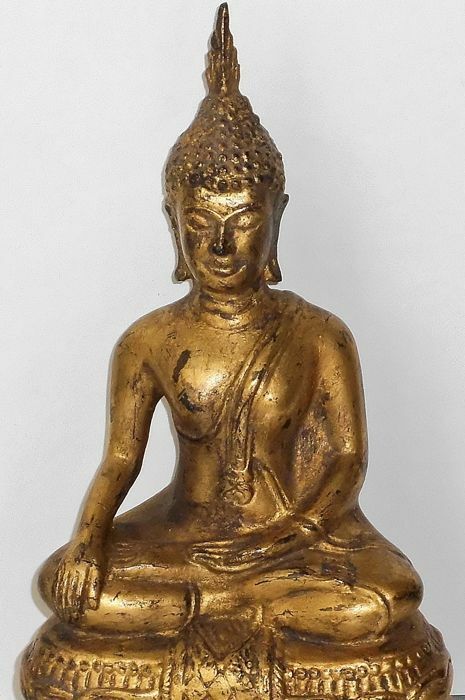 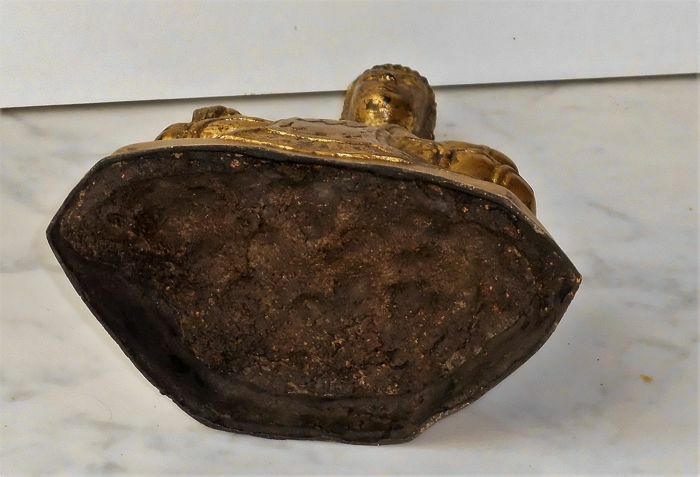 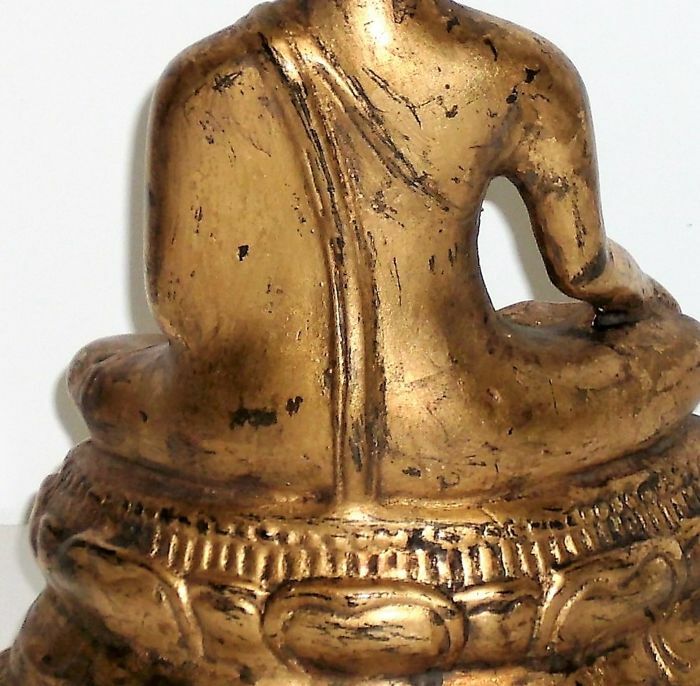 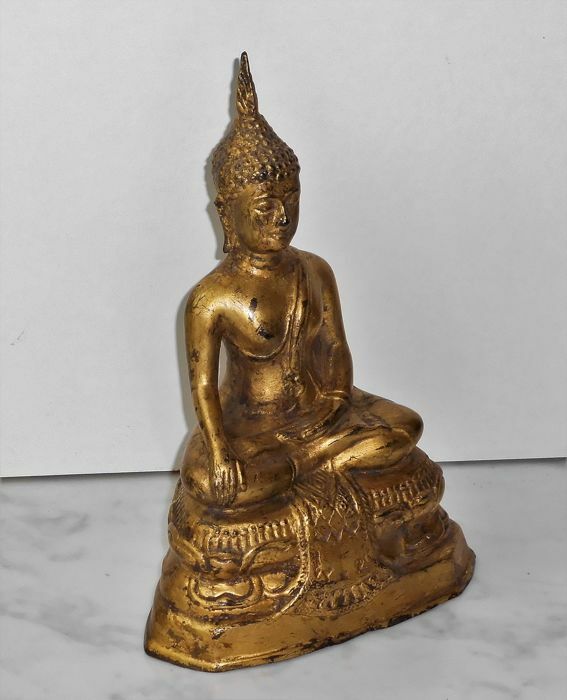 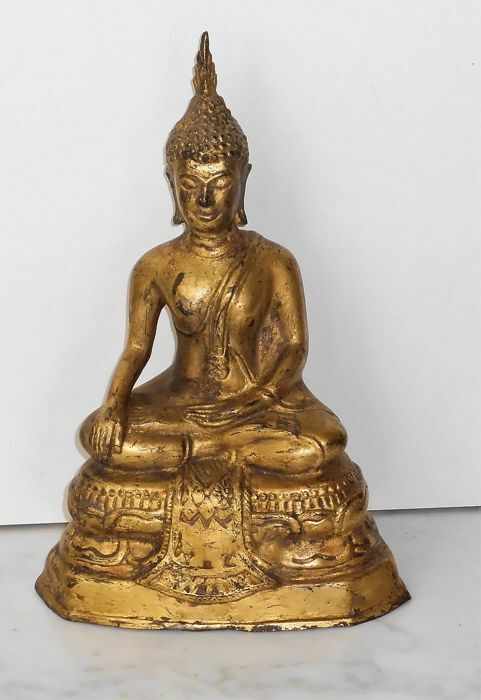 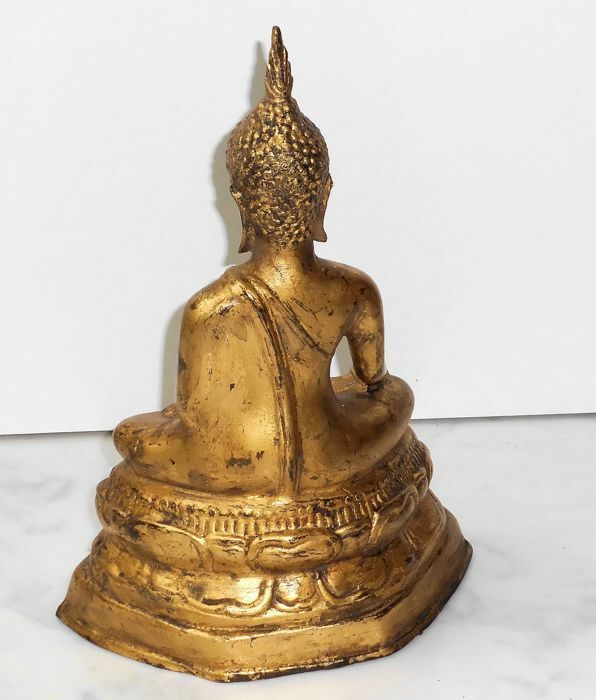 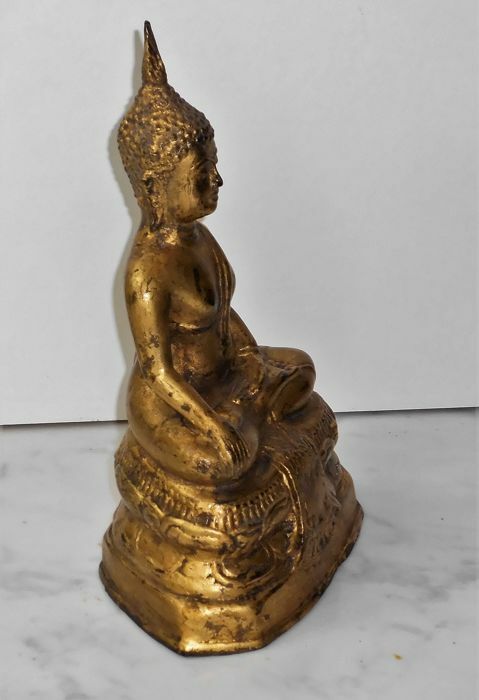 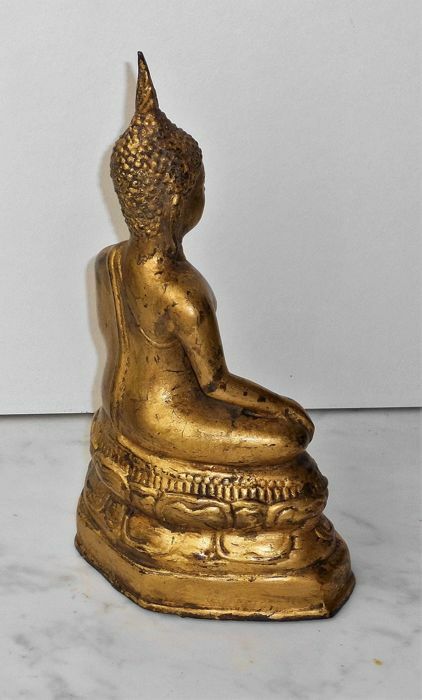 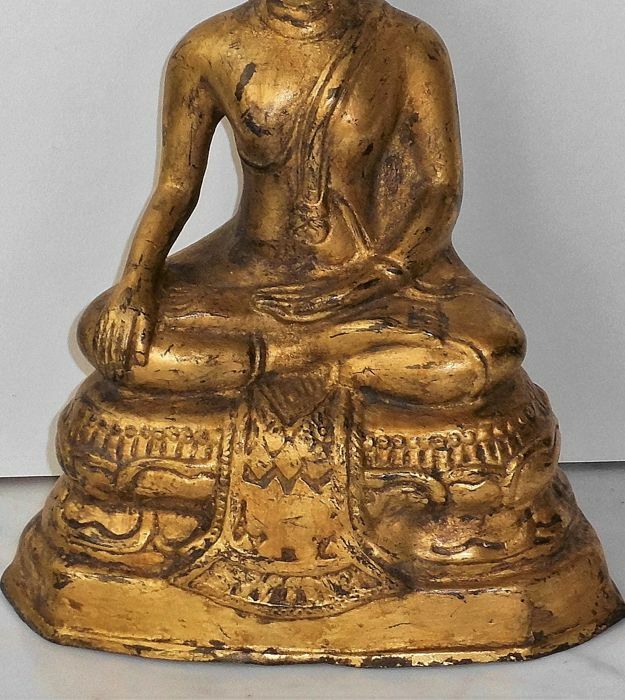 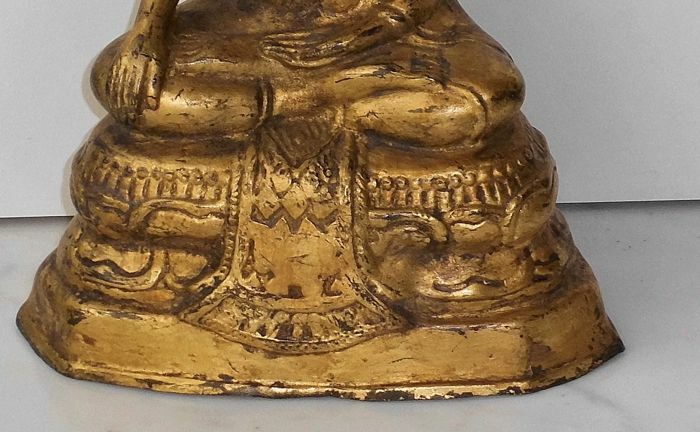 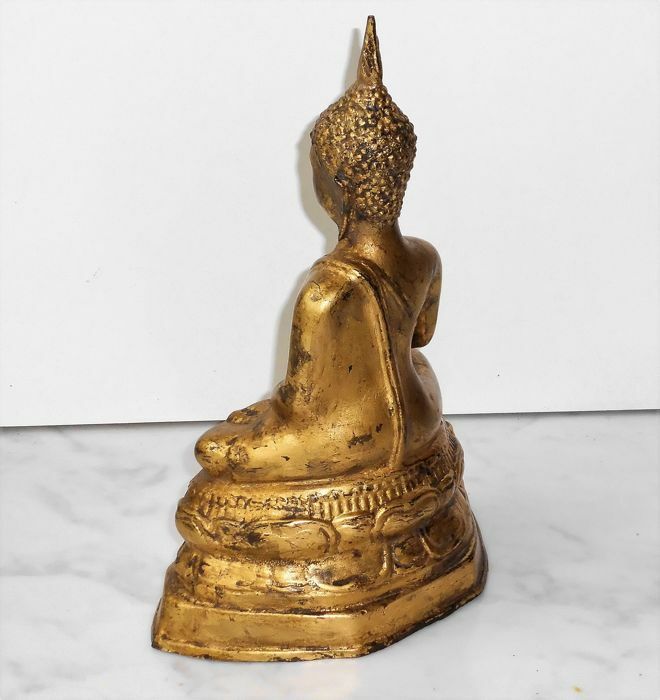 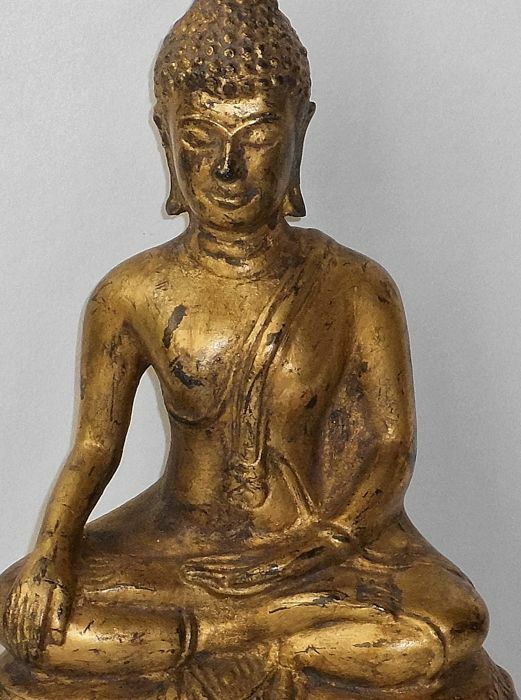 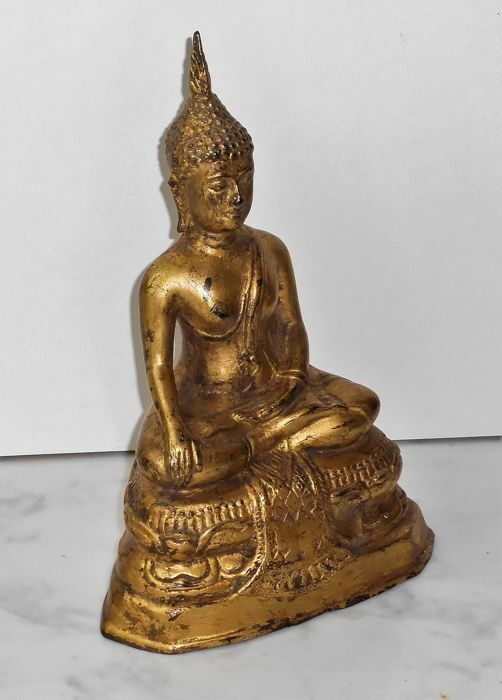 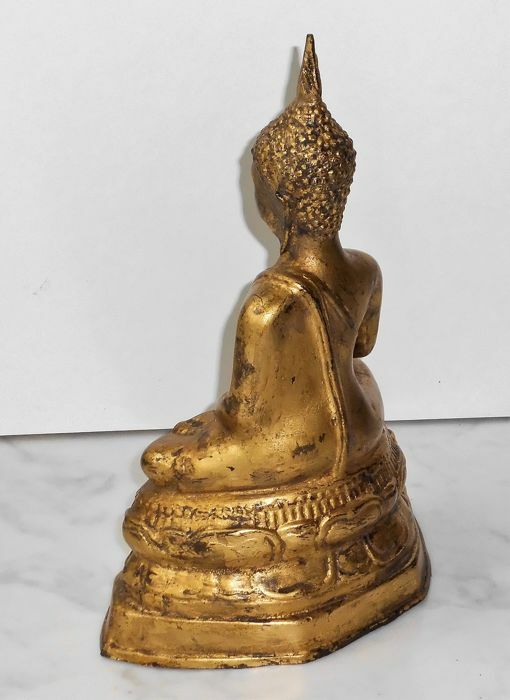 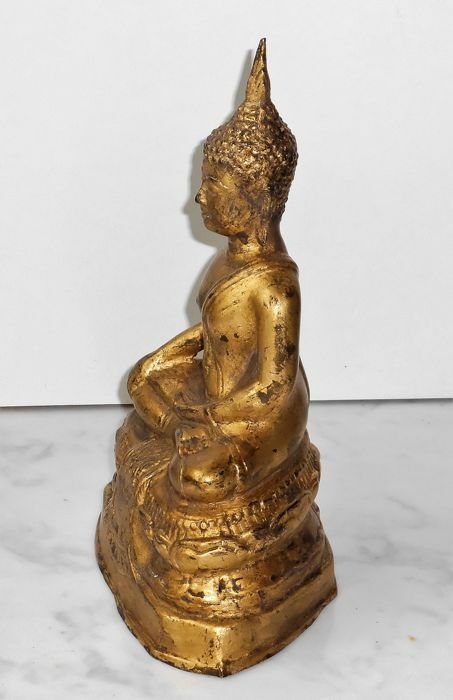 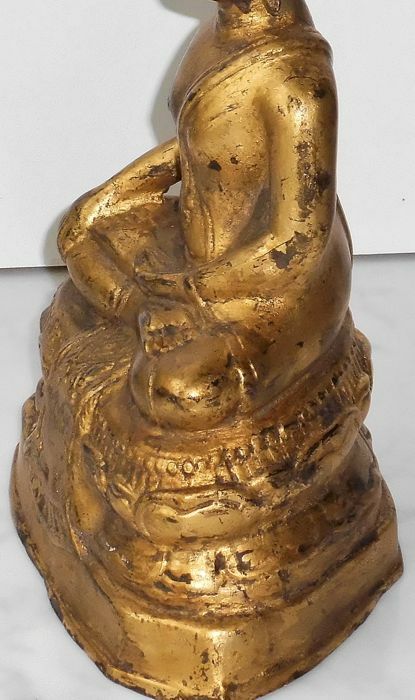 Beautiful bronze Buddha statue, origin Thailand, gold leaf plated, 2nd half 20th century. 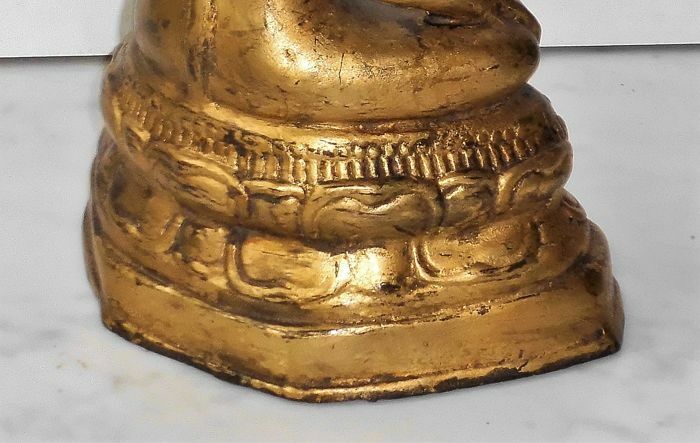 It's these signs of wear that give this statue its characteristic appearance. 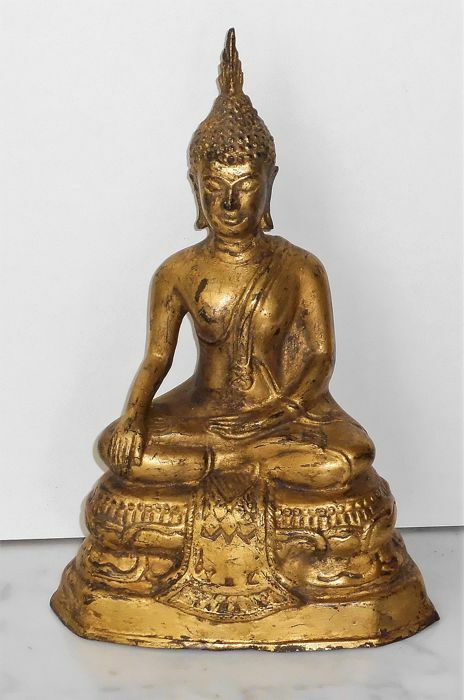 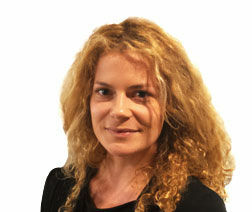 Will be well-packaged and shipped registered with PostNL and with track & trace code. 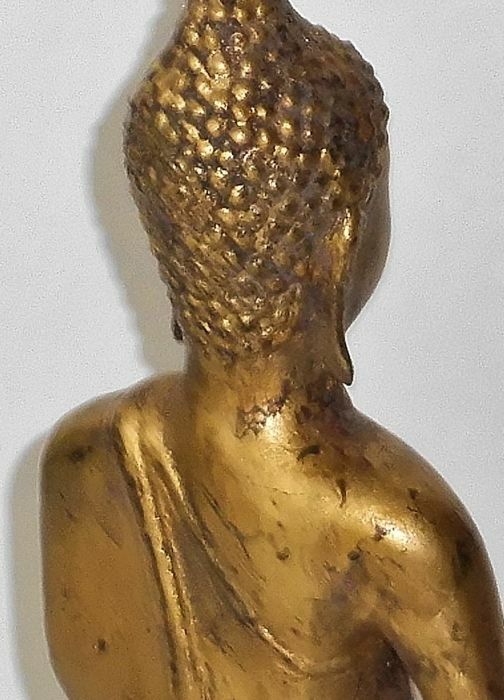 Et très belle pièce, comme sur la photo.